Originally Number 2 and 3 Tivoli Place, the Tivoli is first definitely recognised in 1849 when it was a grocery shop run by Mr J Bignall. He must have enjoyed - or regretted - the competition provided by his neighbour at number 3, another grocery business run by Mr W Williams. Mr Bignall was still running his grocery business in 1890 and had obviously become part of the Tivoli Place scene. From 1897, the premises became a Baker and Pastry Cook’s shop run by Mr Green. Mr Green is also listed as a corn, hay and straw merchant at number 6 from 1897 but this refers to the sixth building in the block, not 6 Tivoli Place, which was at that time, the Tivoli Inn further along the road. He was still at number 2 in 1915 but the following year the premises had been taken over by Mr S Tidd, corn dealer. The shop continued to provide this service under Mr Tidd until the early 1920s, and continued after that under the direction of a Mr Sewell until the early 1950s. The Brewery bought number 2 to house one of its employees, Mr Williams and his family. They lived there until he retired and the property was unoccupied for some time. It became almost derelict and was absorbed into the adjoining Tivoli pub, number 3, in 1990. Mr Williams’ grocery business at number 3 continued under Mrs Fluck from approximately 1859 and then under several owners, until 1874 when it is described in Cheltenham Directories as being run by Thomas Shepherd, farmer, perhaps as a dairy shop. By 1885 it had become the ‘Ale and Porter Stores’ run by J Watts and later by his wife Isabella. The business continued as ‘Tivoli Ale and Porter Stores’ or sometimes just as ‘Beer Retailer’. In the mid 1950s, the Brewery which owned the business decided to update the property and the landlord, Mr Grinnell couldn’t cope with all the disruption involved. Mrs Lytheer, who ran the Lamb Vaults in the centre of town, then took over and renovations began in earnest. When completed, she asked Mr Burrows, a neighbour who lived opposite, what the new name should be. He in his wisdom suggested ‘The Phoenix’ and ‘The Phoenix’ it became. This name remained under the next tenant Peter Ives from 1982 – 1995. 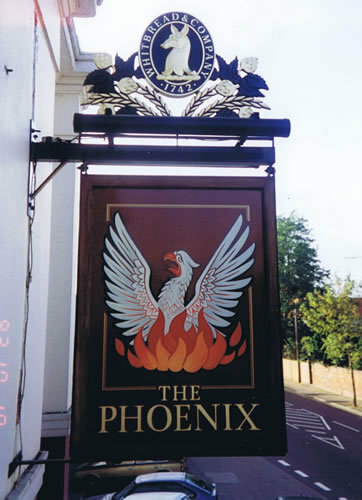 The owners of number 2, the Brewery, paid for structural work to be done to extend the Phoenix into this neighbouring property which had become almost derelict, and the modernised and enlarged Phoenix was opened in 1990 under Peter Ives’ direction. ​New tenants took over in 1995 and again in 2001, when the name changed to "The Tivoli". Due to the recession it closed its doors in April 2009, only to re-open in July having been taken over by a new company, London Town. 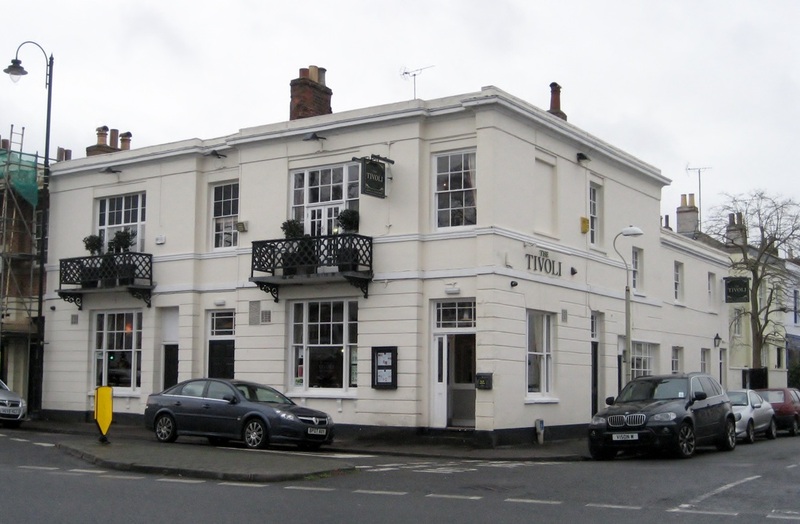 The new landlord intended to advertise The Tivoli as a ‘local’ pub rather than promote the rugby bias it had enjoyed immediately prior to closure. By December 2009, The Tivoli had closed yet again and it re-opened on 9th December 2010 after a £1m refurbishment.